Experience Flagstaff, Arizona and the surrounding areas with three nights of lodging, as well as the Ultimate Segway Tour! 3 Nights of Accommodations in your choice of over 20 hotels. Make your vacation the best it could be with this splendid package! 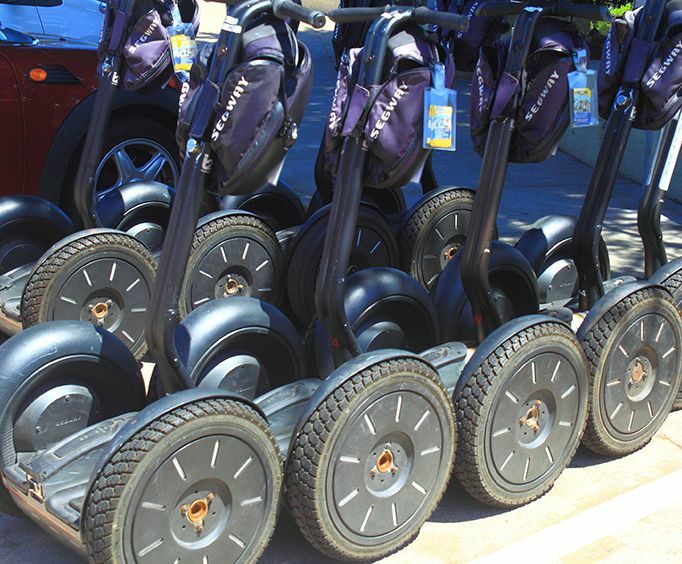 The Ultimate Segway Experience is the perfect way to see and do the most thrilling things in the Flagstaff area. Hop onto one of these amazing Segways and get a quick tutorial to provide you with the needed basics to make sure that your ride is as safe as possible. After the tutorial on how to operate them, you will be taken along with the help of a knowledgeable guide to see some of the most intriguing sites in the city. Enjoy the natural beauty of Northern Arizona as you visit the amazing natural features that are a short drive from Flagstaff. When your days are finished, enjoy the comfortable accommodations and amenities of a Flagstaff area hotel where you will be treated with hospitality. With three night's accommodations, you can rest assured that you will have the time to see everything you could ever want. Come visit Flagstaff and take in the area's wonderful scenic attractions! Make the next vacation a memorable one with the help of this amazing vacation package.